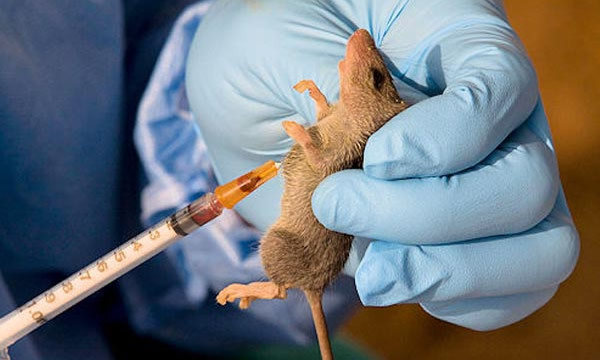 The Environmental Health Officers Association of Nigeria (EHOAN), Lagos State chapter, on Monday, said that it killed no fewer than 4,400 rats at six major markets in the state under its de-rat market programme. “The exercise is strategic in our efforts toward the prevention of communicable diseases,” he said. Akingbehin appealed to traders from across the state to show an understanding towards the efforts of the association to rid the markets of rats and rodents. He said that the plan was to de-rat markets in one local government area per day starting from 5.00 p.m. The Nigerian Army has noted with dismay the attempt to rubbish the hard earned name and reputation of the Chief of Army Staff, Lieutenant General Tukur Yusuf Buratai and the Nigerian Army by a faceless group that called itself Save the Nation Movement (STNM) through orchestrated campaign of calumny in the media. In a release signed by Steven Chilaka, its National Secretary on Sunday, they wanted the Chief of Army Staff to be included among those indicted in the ongoing probe of abuse of funds meant for the procurement of arms simply because he was the Director of Procurement at the Defence Headquarters (DHQ). The public will recall our earlier warning of this type of campaign of calumny against the Nigerian Army and the Chief of Army Staff. This has reared its ugly head again. Unfortunately, the movement could not get their facts right as has always been the case with people with dubious intents.READ FULL NEWS…. The trial of Olisa Metuh, national publicity secretary of the Peoples Democratic Party (PDP), continues today, January 25. At the beginning of the hearing PDP’s spokesperson has been docked at the Federal High Court this morning. He was again brought to the court in handcuffs. Meanwhile, because the prosecution was just served, the trial judge deferred hearing on the issue to January 27. He, however, declined to adjourn the trial, asking the first prosecution witness to testify. For the first time in four months, the leader of the Indigenous People Of Biafra Nnamdi Kanu on Monday, January 25 appeared in court in a different attire. While proceedings of his bail application was going on before Justice John Tsoho at the Federal High Court in Abuja on Monday, January 25 Kanu was brought in by officers of the Nigerian Prison and some SSS officials in a blue and yellow native Ankara jumper. His new attire is different from the sky blue shirt and and Chinos trouser he has always worn since his first arraignment at the Magistrate Court in Wuse, Abuja. The accused person however came in unshaven as usual. contagious Lassa fever virus also like exposed dry garri. Fever scourge in Port Harcourt, the Rivers State Capital. covered to avoid the garri from being contaminated infected rats”. him by the Federal Government. prosecution made counter submissions on the bail application on Monday. Fifty-seven Shiites have been sentenced to 15-years imprisonment, following the involvements in a prison mutiny. following unrest last March at Jaw prison, south of the capital Manama. The charges included “disobeying orders and forcing guards out of the prisoners’ buildings” and then “destroying furniture, air conditioners and security cameras, ” the source said. soldiers in Girei Local Government Area where the attacks took place. Dikajam and Taboungo targeted in the attacks. A police officer, CSP Okozie Okereofor, and 29 others were also reported to have been killed in the at tacks.READ FULL NEWS…. The Peoples Democratic Party (PDP) has been torn into four camps over the $2.1 billion arms fund scandal for which many high-ranking members of the party have been dragged to court by the Economic and Financial Crimes Commission (EFCC), Daily Trust on Sunday investigation has revealed. In the last few weeks it has been observed that the former ruling party’s members are divided into four factions over the arms scandal.